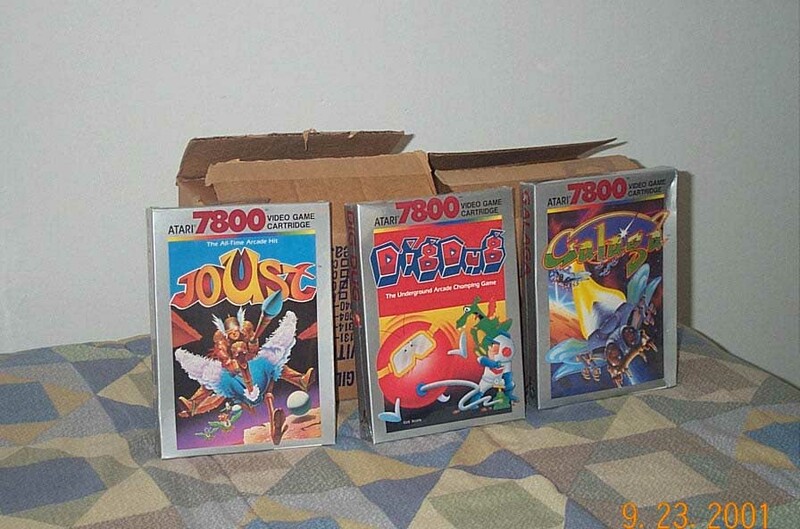 In the image above, you see the last set of new Atari 7800 games that I purchased. While these games were well done and a lot of fun, they did not help Atari break new ground when Atari finally released the Atari 7800 in 1986. If Atari had released the Atari 7800 in 1984 as it originally planned, the history of videogames might have gone completely different then it actually did. Unluckily for us, the Tramiel family purchased Atari from Warner Communications back in 1984 just before Atari released the Atari 7800 system and the Tramiel family was not interested in videogames at the time that they purchased Atari. This despite the fact that there was an entire warehouse full of 7800 systems all set to be launched. They strictly wanted to focus on home computers and this would eventually allowed Nintendo to sweep in and corner the market on the videogame resurgence. By the time Atari noticed that videogames were popular again, it was too little and too late and a once great company began to slowly come apart.